1. Vintage Arcade. Chances are, this is the bit you came to 16-Bit for! Whether you&apos;re a Pac Man master or a Frogger fiend, you can play for FREE at 16-Bit. 2. The PINS Mechanical Connection. Did you know that 16-Bit Dublin is connected to PINS? 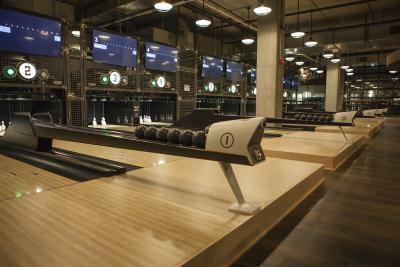 Easily move from arcade gaming to ping pong, duckpin bowling, bocce ball, pinball or foosball at PINS. For more about PINS, you can click here. 3. Food Trucks. While 16-Bit doesn&apos;t offer food, it does regularly host food trucks! Try some of Central Ohio&apos;s favorite mobile dining options while you get your game on. 4. Free Parking! It&apos;s not the most exciting bit on our list, but we also know you were happy to hear it. Park in the Mooney Garage, right across the street from 16-Bit for ease of access. 5. Craft Brews. 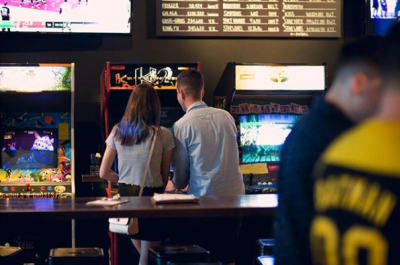 If it&apos;s a local brewery, you&apos;ll find one of their brews at 16-Bit. Sip on your favorites from brew houses like Brew Dog, Rhinegeist, Land-Grant and Seventh Son. 6. Giant Lite-Brite. Let your inner artist shine by showing your skills on their giant Lite-Brite! Get creative and post a picture of your masterpiece with #sodublin. 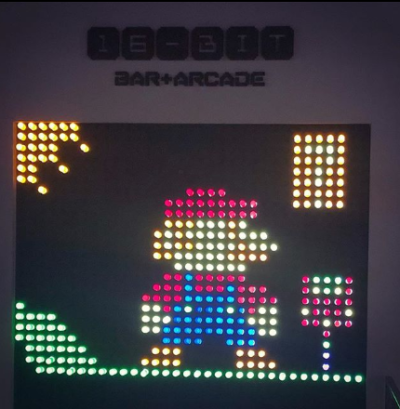 @misserin2011 snapped this shot of her Mario Lite-Brite masterpiece. 7. Creative Cocktails. With creative names to pay homage to your favorites of the 80&apos;s, 90&apos;s and today, cocktails like the Kevin Bacon and the Bill Nye are as creative as their names. @kaiiiite sipped on the Carrie Fisher cocktail. 8. Theme Nights. Enjoy theme nights like High Score Sunday and Rock&apos; Old School Hip Hop Night. 9. Video Games. If you&apos;re not into traditional arcade games, there are more options! Play hand held video games, watch movies or a game of skee-ball. 10. Lounge Spaces. 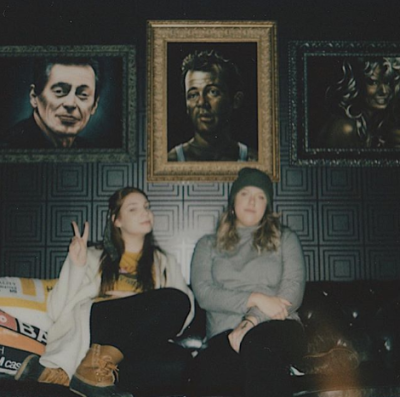 Other than normal bar and high top seats, you&apos;ll also find comfortable places to lounge like couches and bean bags. 11. Slush Puppies. 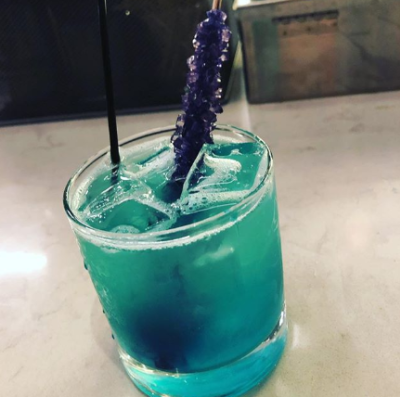 Outside of their creative cocktails, 16-Bit patrons can also enjoy one of their famous slush puppie slushies that come in assorted flavors such as blue raspberry and cherry! They can be prepared boozy for the adults or without for your kiddos to enjoy. 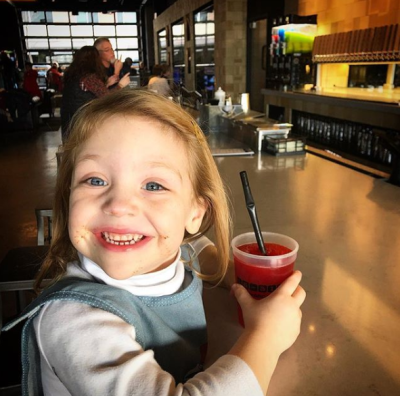 @aprilw419 snapped this shot of her cutie enjoying a slush puppie. 12. Sassy signs. 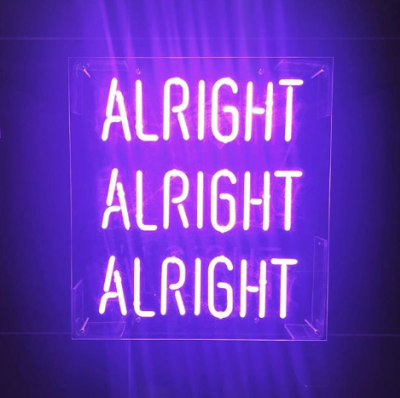 They&apos;re sassy, they light up and they&apos;ll catch your attention. You&apos;ll find LED signs all over 16-Bit to make you chuckle. 13. Shorty Sundays. Bring the kiddos and let them experience the games you grew up playing! From Noon to 5pm, kids of all ages are welcome to get their game on. 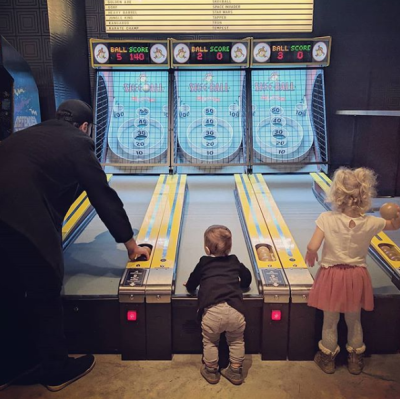 @kalahrae snapped this adorable shot of her kiddos learning to play skee-ball. 14. Swag. Whether it&apos;s general 16-Bit gear or something a little punny, find t-shirts, tanks, sweatshirts and hats in the 16-Bit shop. 15. Open 7 days a week. Arcade fun is available at 16-bit 7 days a week! 16. Nostalgia Factor. Whether it&apos;s the classic games, the cocktails or the artwork, you&apos;ll find that 16-Bit transports you back to your childhood with some touches of nostalgia.